Marble, slate, travertine, granite, limestone and sandstone are the few hot examples of natural stones that come into existence in a span of millions of years. The dominating property they carry is the unique characteristics based on its type. Each type has distinct features and features that are astonishingly attractive. 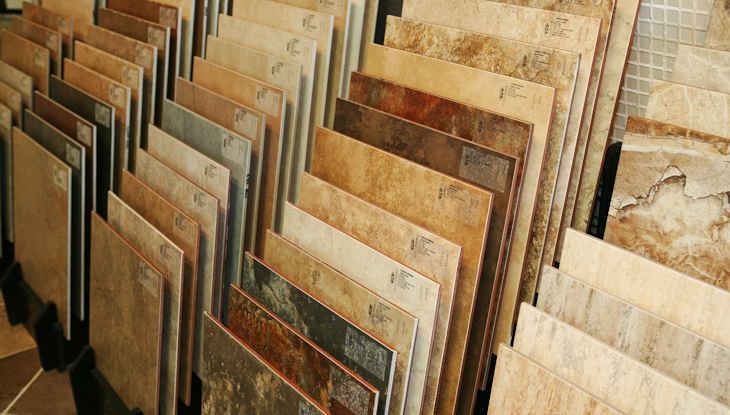 Before you set for installing any of it to your floor, it is highly recommended to know the necessary details to understand and decide rationally that either it suits your needs or not. It will also help you regarding the future cleansing and restoration of the selected stone. The number one aspect that you need to know is absorption. It is an important factor to observe that how much it allows other materials to penetrate into it. If its level of absorption is high, then it means it is more prone to get stains and spots. If you are looking to install for outdoor flooring, then it is the wrong choice to select one with high absorption level because it will be damaged or cracked easily in a short time by the temperature and weather effects. You also know that it is available on the market according to grades. The categorization in grades defines the quality level. The classes differentiate the tiles or slabs based on size, shape and thickness. The grade one will offer you perfect product. However, the two will be slightly inferior in quality and uniformity. As the grades will decrease, the quality level will also lower down. Assessment of the slipping factor is also essential when it comes to purchasing either for commercial or residential concern. To measure the slip resistance attribute you can use the coefficient of friction. If the result shows higher coefficient, it means that the resistance power will also be high. You can tend to use it for kitchen, bathroom or external purposes. Considering the advantages is also essential to facilitate your core need. Every type has its benefits that can transform your need into practical implication. They can be offering you attributes like aesthetic looks, eco-friendliness, uniqueness, and so on. Few are easier to restore than others are. It delivers beauty, sophistication and convenience used as the flooring alternative. It is the basic fact that everything has its pros and cons; similarly, it also has some sensitive aspects that you need to analyse before you say yes to the one. The natural stones are porous thus; you need to seal them for the ultimate protection. It can require a reapplication too depending on the level of the delicacy of the surface. You have to take care regarding protecting it against the scratches, destruction, chipping, spots, cracks and daily depreciation. With careful use, you can add in its life. The regular maintenance can also save it from multiplying the damage. By the time, it can lose or lower its lustre. Thus, you may need to consult a professional expert for the reacquisition of it. They will help you without replacing it by using machines and friendly chemicals. Well, this was all about getting your floor the best alternative.